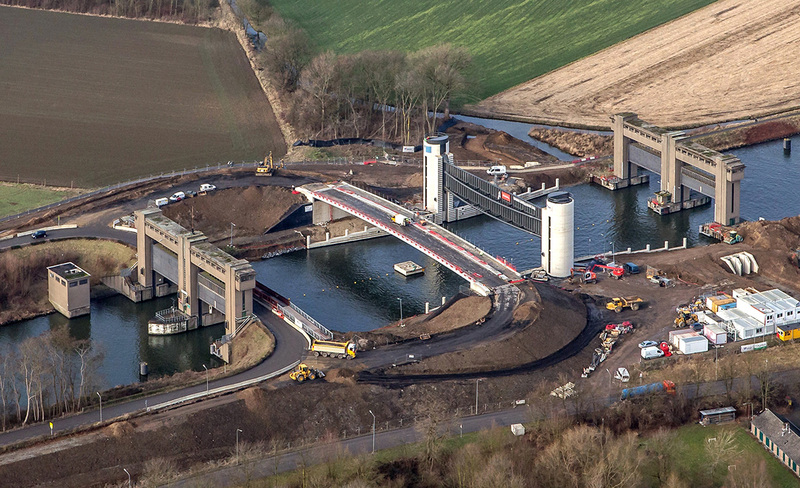 Work on the new Limmel Lock is progressing steadily. 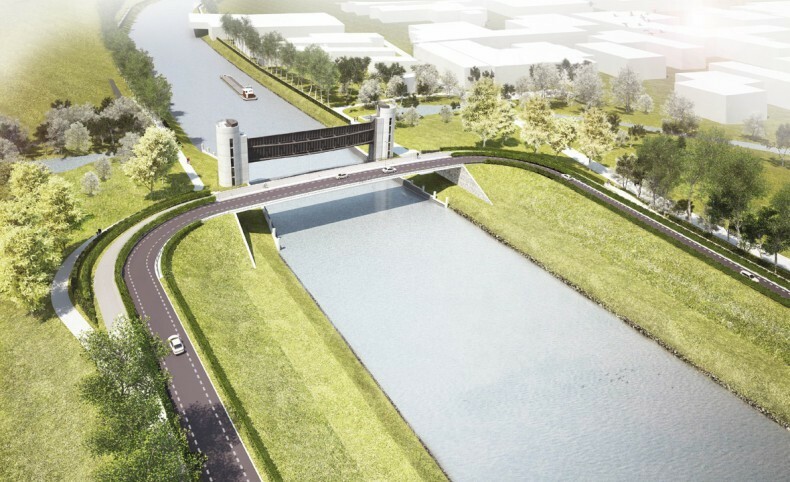 In 2014 the BESIX consortium won the tender for the new lock in Limmel, the Netherlands. karres+brands produced an integral design for the Quist Wintermans Architects designed lock. 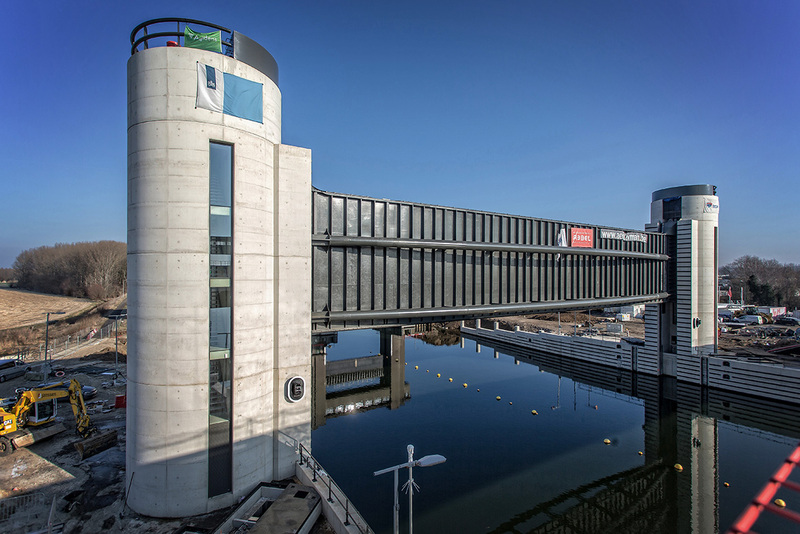 The construction of the landscape has started recently, after the main components of the lock, such as the bridge, the vertical lift gate lock and the culvert, put in place last year. The starting point for the landscape design is to preserve and enhance the contrast between the linear north-south structure of the Juliana Canal and the more capricious Kanjel brook in the east-west direction. Characteristic orderly rows of poplars, hedges, and new acacias accentuate the linear nature of the channel, while an informal planting structure emphasises the presence of the brook. The old Kanjel will be—contrary to the current situation—shifted above ground as much as possible. A stream-valley landscape emerges around the brook with nature-friendly banks and special habitats for the beaver, weasel, stoat, and various bird species, among other wildlife. The anticipated completion date is spring 2018.